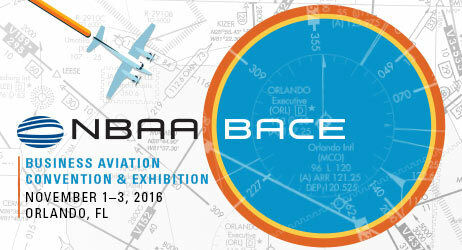 The NBAA’s Business Aviation Convention and Exhibition is the sixth largest trade show in the United States. This year the event runs from November 1-3rd in Orlando, Florida. Attendees will join over 27,000 other aviation industry professionals, including aircraft owners, pilots, and manufacturers for three days of workshops, seminars, static displays, and networking events. NBAA Single Pilot Safety Standdown. If you arrive early, don’t miss this workshop on Monday, October 31st from 9 a.m. to 2 p.m. This event will showcase the most effective safety strategies for single-pilot operators, and is also eligible for CAM application and recertification credit. Keynote with David McCullough. NBAA’s keynote address will be presented by two-time Pulitzer-Prize winning author David McCullough, who will speak on the topic of “Lessons in Leadership.” McCullough is author of the #1 bestselling book, The Wright Brothers. He’ll be speaking during the Opening General Session on Tuesday, November 1st. Digital transformation through emerging technologies. Aviation is a rapidly evolving industry. Check out this session on Wednesday, November 1st from 12:30 to 1:30 p.m. to learn more about the emerging technologies that are impacting the field today and in the future. Hartzell 5-Blade Composites. Many of our OEM partners have equipped new 5-blade composite propellers on their fleets this year. Visit the Pilatus, Daher TBM, and Piper booths for more about why and how these propellers are improving the flight experience. Also, don’t forget to visit the Hartzell booth to talk shop with our staff. Silent Auction Benefiting the Corporate Angel Network (CAN): At this special event on Wednesday, November 2nd from 6:00 p.m. to 11:00 p.m. you can network with industry peers and fellow flyers while enjoying entertainment and dancing with DJ PopRoXxX. Participate in live and silent auctions that benefit CAN, an organization that flies cancer patients and their families to and from treatment. Learn more.